An entrepreneur is a business leader willing to risk starting a new company and offering a product or service he or she hopes will be sustainable and permit the firm to prosper. The entrepreneur may have to find the money required for this venture and typically draws on business experience gained by working for others first. Entrepreneurship often requires hard work, but the potential for economic payoff and career satisfaction appeals to many. Although the risk of failure associated with starting a business is real and even high, we hear much in the media about success stories and little about those entrepreneurs who crash and burn. Perhaps the allure of entrepreneurship inevitably outshines any mention of the downside. Still, start-ups impose a higher than normal degree of risk, and we turn to the evidence for this now. This figure might be enough to chill the enthusiasm of any would-be entrepreneur who believes an exciting or novel concept is enough to support a successful company with a minimal amount of time and effort and a great deal of other people’s money. Still, the ranks of start-ups expand prodigiously each month in the United States. Even start-ups that beat the odds financially need to be watchful for a different sort of pitfall, an ethical failure that can be nourished by the very strengths that allow a company to get off the ground. That pitfall is the hubris or excessive pride that may characterize some entrepreneurs, particularly after they have had some initial success. Uber, an application-based, ride-hailing service, was founded in San Francisco by Travis Kalanick and Garrett Camp in 2009. If ever an idea matched the success potential of smartphones, it was this one. Offering a cheaper and more convenient service than hailing a cab on city streets, Uber was valued at $70 billion in 2017 and operated, with varying degrees of success, in seventy countries at that point. However, the corporate culture, especially at headquarters, left many observers aghast in early 2017 after an Uber engineer, Susan Fowler, blogged about her experiences there. Other employees substantiated much of her account, revealing an atmosphere rife with misogyny, homophobia, and sexual harassment. Muted grumblings from quarters within the company never received much attention outside the firm, allowing Kalanick to become a high-flying role model for would-be entrepreneurs who wished to emulate his success. A reckoning finally arrived when Uber’s board of directors asked him to resign his position as chief executive officer in June 2017. Yet the workplace culture that prevailed during his years at the company was not unique to Uber. Many firms have experienced it. Holding destructive egos in check is an ethical challenge at many successful businesses, particularly at hard-riding start-ups. Founders and their start-up teams need to be aware of how deeply their attitudes toward others; their visible treatment of employees, customers, and clients; and their display of fairness will come to shape the company they are building. It is not enough for the founders to hypothesize, “we’ll get around to establishing the right protocols after we’re solvent.” Nor is it adequate to insist that standards of courteous business practice will naturally emerge on their own. An initial culture either of ethics or its absence will set a tone from the first day of business. If the founders believe these niceties are not required of them owing to their genius or confidence, such arrogance will displace ethics as a best practice. To believe otherwise is self-deception. A legendary example of a start-up that still inspires many today is the Hewlett-Packard Corporation (HP). Its origins lie in the efforts of Bill Hewlett and David Packard, two Stanford University classmates in the 1930s. 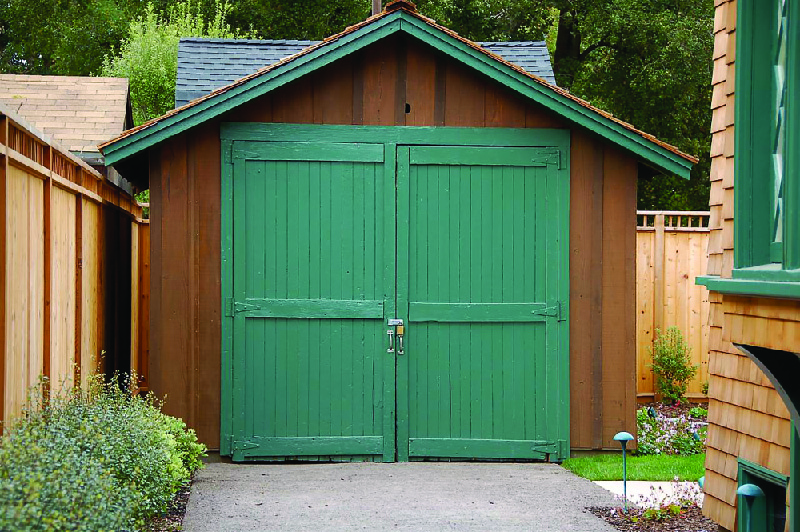 Much like members of a garage band, they started their company in a real garage, and the firm has outgrown its humble beginnings many times over ((Figure)). Start-ups are exciting. Many of their founders, like the late Steve Jobs of Apple, attain near-rock star status, and the companies can generate enormous profit. They allow many to do what they have always wanted to do and be their own bosses. Yet we often overlook the fact that even some of the most successful entrepreneurs experience many failures before they succeed, and long hours of hard work are typically required even for these failures. Smart entrepreneurs learn from their failures, but each lesson can be painful, frustrating, and time consuming. A unique personality is required to weather the stresses and strains of a start-up, and it is a personality that tolerates much personal deprivation as it pursues the perceived highest goal of all, success for the firm, no matter what personal or collective costs might be entailed. The culture of entrepreneurialism allows for many business leaders and their staffs to be deprived of a portion of their humanity along the way to success. Thus, a preeminent ethical consideration is whether the result justifies this cost. At the very least, determined entrepreneurs must be advised of these possible sacrifices. They constitute the collateral damage of entrepreneurial dreams that any ambitious start-up founder should contemplate. Will one emerge at the end of the process as the sort of person one most wishes to be? Even if a start-up becomes what its founders wish it to be—astronomically successful—inevitably it will change as it grows, acquires new locations, and hires more employees. These changes may eventually produce an organization with added layers—essentially, a hardened bureaucracy that slows down and complicates the management process. The company may no longer make essential decisions with the speed and nimbleness that once were possible. In short, success for a start-up is often accompanied by the risk of becoming, over time, exactly the traditional business structure its founders once rejected. So the founders of an entrepreneurial shop, and their successors, must guard against change that radically alters the original spirit of innovation and the free and rapid flow of information, even as the company grows. No business leader seeks bureaucracy, but it typically accompanies growth within any organization. Particular problems that arise out of bureaucratization are additional layers of management, more codified procedures, and internal obstructions that surface as a business attempts to capitalize on its initial success. As more employees are added to the mix, the original team’s sense of common purpose can become diluted. Simply put, the very same success that permits a start-up to flourish often produces bureaucratic structures that chip away at the free-flowing camaraderie that allowed a handful of founders to act instantly and with one mind. As the staff expands, employees’ ranks become more defined, titles and hierarchies appear, and individual achievements become harder to spot. This is what changes within a successful start-up, and it moves the company away from the more congenial atmosphere that characterized it at its outset. An original small partnership often becomes a corporate behemoth, and it takes on many of the attributes of those cubicle workplaces that frequently inspired its founders to strike out on their own in the first place. All the better, then, if ethical practices that permit coworkers to bond as colleagues with a sense of commitment to each other and to their customers or clients emerge through a company’s trial-and-error experience at the outset. Only if the founders and initial staff emphasize treating all stakeholders with honesty, courtesy, and respect will the new firm stand a chance of indelibly cementing ethics into its operating matrix. In the summer of 1970, a college senior named Paul Orfalea opened a store near the University of California, Santa Barbara, campus. He called it “Kinko’s” after his own nickname and, with his partners, he sold college school supplies and around-the-clock copying services for students. After twenty-five years, Kinko’s had grown to 1,200 stores and 23,000 employees, and Orfalea privately and lucratively sold it to FedEx. Since selling the company, Orfalea has spent many years mending relationships with those who worked most closely with him while he was building it. What contributed to the tensions Orfalea felt while managing this burgeoning enterprise? Long hours, of course, but also the need he felt to sustain his initial success, to make each year more profitable than the last. Entrepreneurs often believe they are only as successful as their last quarter’s profit and are driven to exceed it. Orfalea also felt that he alone was equipped to call others to account and veto what he felt were bad business ideas. Anger became a chief enemy he battled. Orfalea acknowledged the anger and resentment that he often felt toward other longtime staff at the company, which overpowered the respect that he knew he owed them. Consequently, he directed comments and actions at his colleagues that he has spent many subsequent years attempting to redress. All in all, he has labored diligently to repair friendships that he admits were frayed by his behavior alone. After reflection, Orfalea now offers these recommendations to prospective entrepreneurs: Do not give way to your anger in the midst of the frustrating turns business inevitably takes. Do not take that anger home with you, either. Finally, try to be the person you most genuinely are, both at work and at home. It took Orfalea time to learn these lessons, but they are worthwhile for any would-be entrepreneur to ponder. What price would you be willing to pay to pursue an entrepreneurial career? What price would you demand from your partners in the business? How long could you let work monopolize your life? In your opinion, was Orfalea right to manage Kinko’s the way he did as it grew? Were the worries, anxieties, and bad moods he experienced inevitable? How would you avoid these? The atmosphere surrounding entrepreneurs and their start-ups can provide a dizzying rush. The opportunities to create a company, be your own boss, make a dramatic impact on business, establish an entrepreneurial culture that will be adopted by others, and possibly become rich in the process certainly all appeal to our human nature. Still, the entrepreneurial lifestyle is challenging, and the success rate for start-ups is exceptionally low. Interpersonal conflicts are prevalent in start-up environments, and entrepreneurs who seek to stay true to their vision and ethical values face a difficult road. At many points, start-up founders have to choose how they most wish to be remembered: for the sake of their business success alone or also for the ethical fashion in which they attained that success and the humane culture they have embedded in their new firm. Sometimes these are mutually exclusive goals, but the most ethical entrepreneurs do their best to ensure that both objectives mesh for themselves and their firms. This lies at the heart of any definition of ethical leadership. What characteristic is common to most entrepreneurs? True or false? Entrepreneurs are usually motivated by the teamwork spirit. False. Entrepreneurs are usually motivated by the hope of profit. Corporate culture comes from ________. One danger a growing start-up can face is ________. 1Patrick Henry, “Why Some Startups Succeed (and Why Most Fail),” Entrepreneur, February 18, 2017. https://www.entrepreneur.com/article/288769. 3H.H. Gerth and C. Wright Mills, eds., translators, From Max Weber: Essays in Sociology (New York: Oxford University Press, 1946), 196. 4H.H. Gerth and C. Wright Mills, eds., translators, From Max Weber: Essays in Sociology (New York: Oxford University Press, 1946), 204. 5H.H. Gerth and C. Wright Mills, eds., translators, From Max Weber: Essays in Sociology (New York: Oxford University Press, 1946), 228. 6Michael A. Lutzker, “Max Weber and the Analysis of Modern Bureaucratic Organization: Notes Toward a Theory of Appraisal,” American Archivist, 45, no. 2 (1982): 121. 7The author worked for many years in the 1980s in human resources at the Walt Disney Company at its corporate site in Burbank, California. A popular training course offered in-house to employees new to professional or managerial roles was “Disney Way,” in which the leadership culture of the company was traced back to its founding in 1926 and how that culture had remained greatly intact over the intervening years. 8Paul Orfalea and Ann Marsh, Copy This! (New York: Workman Publishing Company, Inc., 2005), 99. 9Paul Orfalea and Ann Marsh, Copy This! (New York: Workman Publishing Company, Inc., 2005), 105. 10Paul Orfalea and Ann Marsh, Copy This! (New York: Workman Publishing Company, Inc., 2005), 99–115. Entrepreneurship and Start-Up Culture by Rice University is licensed under a Creative Commons Attribution 4.0 International License, except where otherwise noted.